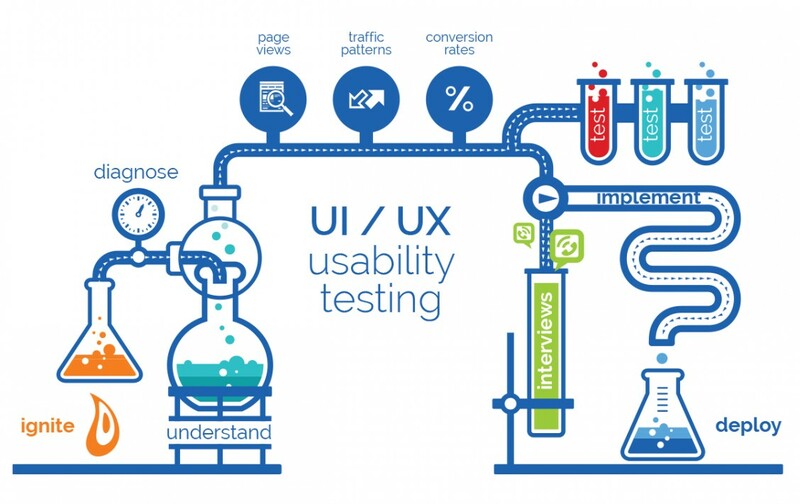 What is usability testing? I’m very sure that most of you don’t know the meaning of these two words. Usability testing is a central and simple idea in information technology that encompasses testing technologies, software products or interfaces on the end users. There are several ways to find users for your usability test. Below are highlighted and explained methods you should use when carrying the activity of usability testing. • User testing: this method requires having real individuals using your app to check how effectively it operates from a nonbiased and unexperienced perspective. You can recruit friends and family to use the app or look for other groups that are willing to carry on the different functionalities and features. • Surveying: this is done by getting a response from users after they have bought a project or finished a test on your site. Surveying can be done by the use of templates and questions precisely for a website response. • A/B Testing: this is an excellent method where two versions of the same product are shared. It is done keenly to see which version performs better. • Leaving it for the experts: software experts are more competent to check an application from a different angle, operate it as the user would, and then assess its limits. Guerrilla or Hallway Testing: this comprises of carrying some studies to individuals who are passing by requesting them to cooperate with whatever you are doing. These could be your buddies, people in the office, or persons in your local café. Your teaching lesson should not exceed 15 minutes, and it’s always good to appreciate your participants with a small token or a coffee. Existing Users: this is done by the use of an existing user base. You can send email requests, pop-ups on your site, sending requests in the social media groups, and asking salespersons to reach out to specific clients. Market Recruitment Research: this is one of the most expensive methods of recruitment. It entails using market recruitment Research Company to do the task for you. How often should you Run Usability Tests? Usability testing is a crucial part of product development. The frequency of running usability tests include the following. The most inexpensive method in usability tests is known as paper prototyping. The use of prototyping and wireframing applications lowers the cost of usability tests. Use the below applications if you want to reduce the cost of usability testing. Read more for Methods and Types of Usability Testing.